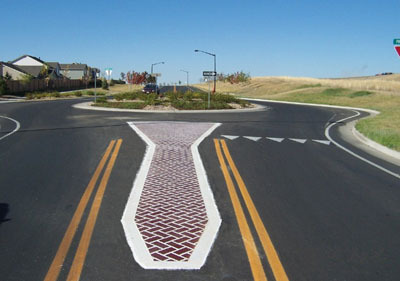 As the world’s leading manufacturer of preformed thermoplastic pavement markings, Flint Trading distributes a complete line of products used in all 50 states, Canada, and Mexico for use on streets, highways, crosswalks, intersections, parking areas, business parks, commercial sites, airfields and more. 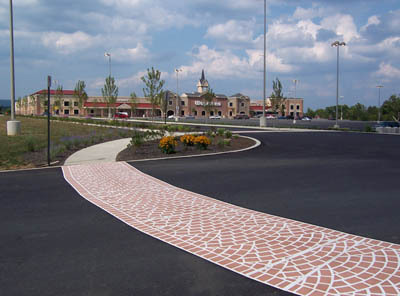 These products are made at its own facility which is ISO 9001:2008 certified for design, development, and manufacturing. 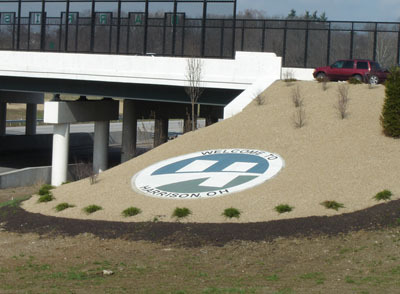 Flint’s commitment is reflected in proven quality and customer satisfaction for over 23 years. 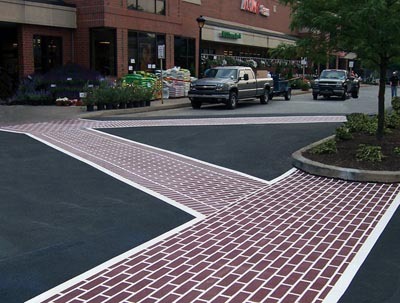 TrafficPatterns RunningBond Pattern provides traffic calming and guidance in parking lot. 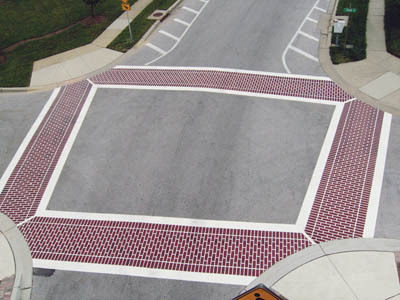 TrafficPatterns Courtyard pattern used at roundabout. 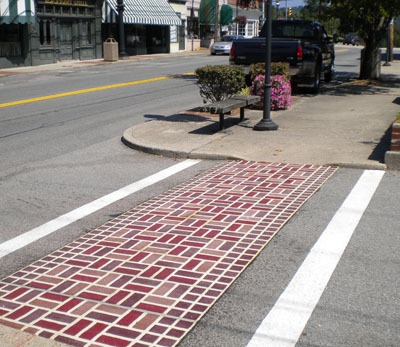 TrafficPatterns Cobblestone pattern used for decorative crosswalk. 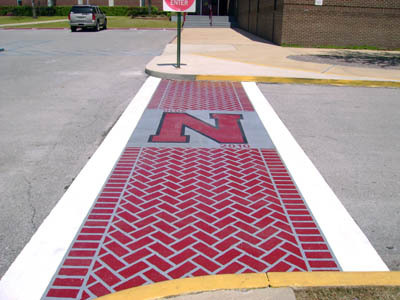 DecoMark logos can be incorporated into crosswalk designs. 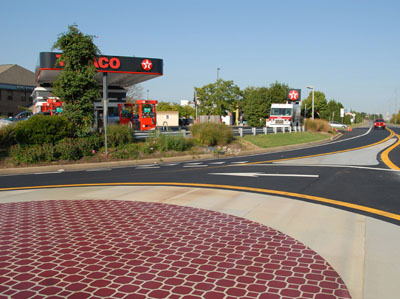 TrafficPatterns also available in multi-colored Natural Brick, Basket Weave pattern shown.